If you are Dutch yourself, or you have been here for some time, you will be well aware that the typical Dutchman does not exist. The Netherlands by Numbers team have put together a list of 12 tribes you may spot, to help newcomers identify who is who. Jordanezen are the original inhabitants of the Jordaan, a neighbourhood in the heart of Amsterdam. A poor but tightly knit community, the Jordanezen of yore shared a love of Italian opera – played on a street organ and danced to enthusiastically – and the neighbourhood spawned lots of famous singers, both male and female. The Jordaan has become a coveted place to live over the years and has been taken over by yuppies. Most of the authentic Jordanezen have moved to Almere. They all return ‘home’ for the annual Jordaan Festival. Habitat: Cafe Nol and the Johnny Jordaanplein. Clothes: Well worn but clean (in the olden days). Accessories: lots of red plush, nostalgia for the olden days and CDs featuring Johnny Jordaan, Willy Alberti and Tante Leen. This tribe is a mix of the seriously rich and bohemian (but still rich) arty types. They vote D66, or at least say they do. Despite this they are still dismissed disparagingly as the ‘linkse elite’ by right-wing populist Geert Wilders and his ilk. Habitat: The canal homes of Amsterdam, the Negen Straatjes, Noordermarkt organic market. Clothes: Shabby chic, red trousers (men), white trousers tucked into boots (women). Accessories: Cargo bikes, hockey sticks (adults), football boots (children of both sexes). The Tokkies take their name from a reality television programme Family Pride – which focused on the Tokkie family and their matriarch. The family was described by an exasperated housing association as having ‘terrorised the neighbourhood for years’. Habitat: The original Tokkies lived in the notorious Burgemeester van Leeuwenlaan in Slotermeer – an area of post-war social housing. Today, the generic Tokkie can be found everywhere. Clothes: a campingsmoking, or tracksuit. Accessories: A big gut, a canta, a belligerent nature and some stuff that fell off the back of a lorry. The inhabitants of the fishing village of Volendam are notoriously insular and no matter how long you have lived in Volendam you will never become a Volendammer. Volendam youngsters have a reputation for substance abuse due to the large amount of drug residue found in the sewers. 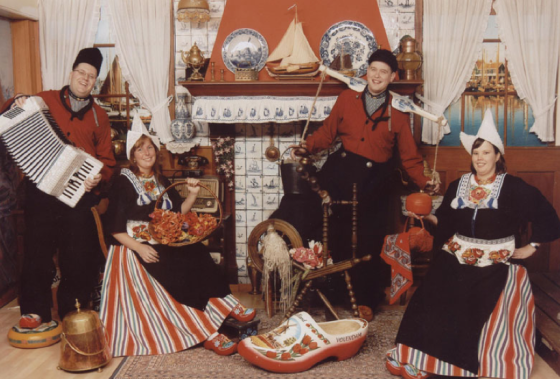 Volendam has also spawned pop groups (who excel at the ‘paling sound’, or ‘eel sound’) and famous football players. Habitat: Volendam, fishmongers in Amsterdam (they own them) and building sites (they work on them). Clothes: Klederdracht, or traditional costume but only for the benefit of the numerous tourists. Accessories: a fishing rod, a football, a microphone. A very popular tribe at the moment thanks to the television series and films of the same name. Gooische vrouwen are typically married to rich men, don’t work and spend their time meeting other Gooische vrouwen for lunch. Habitat: ‘t Gooi in Noord Holland – Naarden, Bussum, Blaricum and Laren. Clothes: Frosted hair, white trousers tucked into boots, botox. Accessories: A Hummer, lots of bling, one overweight child with a hockey stick. The corpsbal, or bal, is arrogant, misogynistic and hard-drinking and wears a tie at the age of 20 – in other words, a frat brat. Ballen are predominantly male and prone to indulge in weird rituals. Not good with women. Habitat: Bars, student association premises, the hockey pitch. Clothes: blazer and (frat house) tie. Accessories: a biertje (never a pils). The tribe of the Tukkers is confined to the east of the country, in the province of Twente where they live cheek by jowl with that other eastern tribe the Achterhoekers of Gelderland. Perhaps unsurprisingly, both areas are mobile phone blackspots. 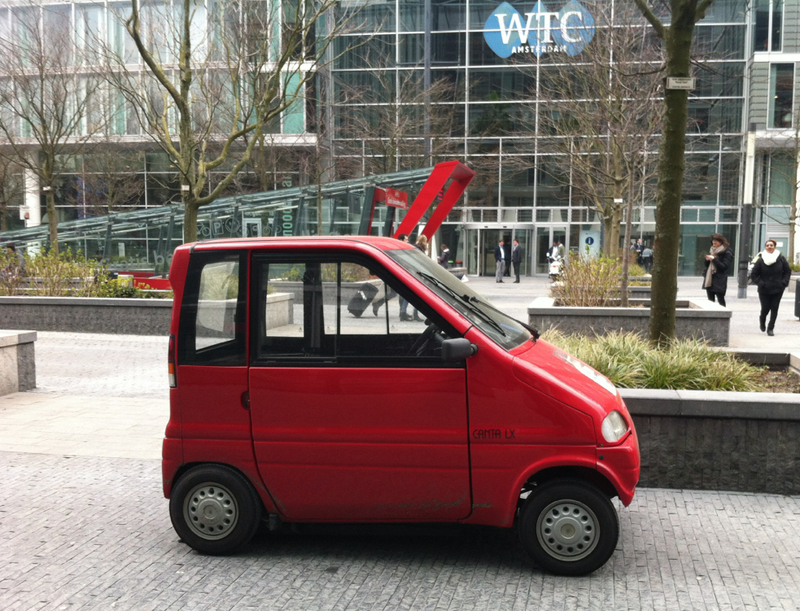 The name Tukkers was a derogatory one for the mainly rural population of Twente, now it is carried with pride. Clothes: Twentenaren are indistinguishable from other Dutch people until they open their mouths and talk Twents. Accessories: a lighter, a milk churn, some milk and a bit of carbide to practice carbidschieten, or blowing up milk churns. Limburg, along with Brabant, are two provinces that strait-laced northeners call ‘bourgondisch’. What they mean is that Limburgers like to eat, drink and be merry, and what they imply is that because of all this cosiness businessmen and politicians rub shoulder a little too enthusiastically, as indeed several scandals have revealed. Most belong to the VVD. Typical specimens include Jos van Rey and Mark Verheijen (allegedly of course). Clothes: business suit and tie.. Speech: a Limburgs accent is Dutch ‘with a soft g’. Limburgs proper is one of three minority languages in the Netherlands recognised by the European charter for regional and minority languages. It is incomprehensible to non-Limburgers. Accessories: we couldn’t possibly comment. 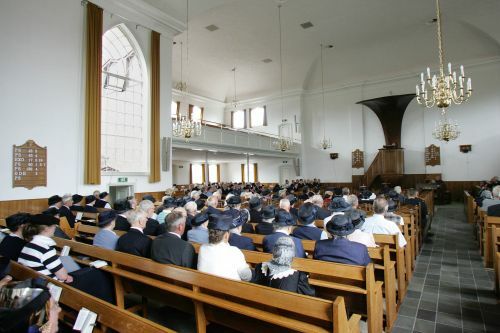 These scary men (and women) who belong to a zwartekousenkerk, or church of the black stockings, are members of one of a myriad of strict Protestant religious communities in the Netherlands. Go to Staphorst on a Sunday and there’s a good chance you’ll meet some of its members as they go to church at least twice. Habitat: The Dutch Bible belt: from the west of Overijssel to Zeeland. Clothes: Dark suits for the men, hats and skirts for the women and never ever trousers. Speech: When talking of things religious, they will use the what they call the ‘tale Canaäns’ (the language of Canaan), an archaic, biblical Dutch with Hebrew expressions. Accessories: a Bible and hats. Frisians are perhaps the most fiercely nationalistic of all Dutch tribes, coming from the northern province of Fryslân with its 11 cities and its own official language. Frisians speak Frysk at the drop of a hat, especially when they meet other Frisians for the first time – it’s a sort of test and mutual bonding ceremony. 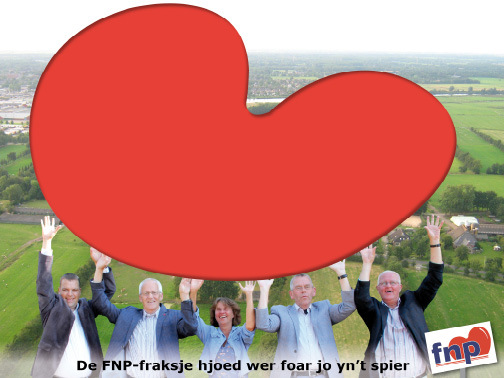 There is also a Fryske Nasjonale Partij which has five out of 43 seats on the provincial council. A long way to go there then. Habitat: Ljouwert (Leeuwarden), Frjentsjer (Franeker), Hylpen (Hindelopen), Snits (Sneek) – you get the picture. Language: Learn this off by heart to fit in: Bûter, brea, en griene tsiis; (butter, bread and green cheese) wa’t dat net sizze kin, is gjin oprjochte Fries (who can’t say that is not Frisian). Accessories: Speed skates and a Frisian flag, which despite what you may think features waterlilies, not hearts. 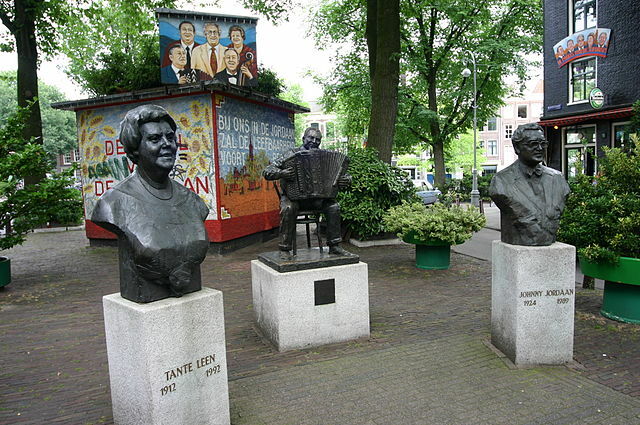 Brabos are inhabitants of Noord-Brabant. Key word for this tribe is gezelligheid, as in a gezellige Brabantse koffietafel – or a jolly coffee-and-cakes get together – where you are sure to be offered a Bossche bol – or chocolate and cream puff pastry ball. 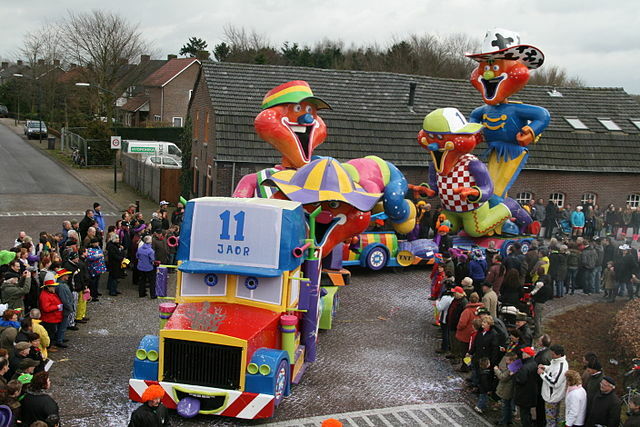 The Carnaval celebrations are another important part of Brabo culture. Brabos are hospitable and when you leave the coffee gathering full of cream puff pastry they will send you on your way with a hearty ‘houdoe!’ which means ‘Take care!’. Clothes: Anything and everything at Carnaval. Accessories: Anything and everything at Carnaval. Most foreigners in the Netherlands do not consider themselves to be expats. Expats tend to be very critical of their new environment and stick together in sub-tribes, depending on where they originally came from. Favourite moans include the awfulness of Albert Heijn, Dutch ‘directness’ and the non-acceptance of credit cards, but they all love cycling and stroopwaffels. Habitat: Networking events, Zuidas, expat fairs and expat centres. Speech: Expats like to show off their three words of Dutch in front of friends and then get very angry when the waitress answers them in English with a French accent. Clothes: Expats dress pretty smartly for work when they first arrive but quickly adopt Dutch standards – jeans with a jacket and suede shoes for both sexes – when they’ve been here a while. Accessories: A bike, a 30% tax ruling, passports and a plane ticket home.